Kerrin Hearfield: Book Review - a double! Well, i've read two fantastic books this month and i just couldn't choose which one to tell you about - so i'm doing both! 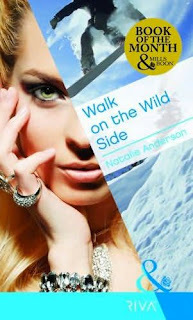 Walk on the Wild Side by Natalie Anderson (NZ author!!!) 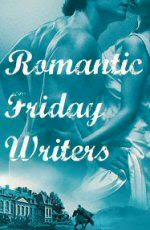 writing for Mills & Boon Riva. This is HOT! I love how the heroine Kelsi is so unconventional. And I mean in looks! Jack is of course to die for, but this doesn't detract from the specialness of this story. Instead of giving anything away, here is the blurb from the back cover. And. GO and READ it!! 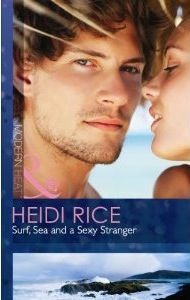 A fling with sinfully hot champion snowboarder Jack Greene isn't Kelsi Reid's normal behavior.but one glimpse of his wicked eyes has Kelsi throwing caution to the deep blue sea (along with her clothes!). After all, who better to go crazy with than a man who deserves a gold medal for his prowess on the slopes and in the bedroom.? Then Kelsi crashes down with a terrifying bump - of the baby kind. They couldn't be worse matched - Jack is Mr. Right-Now, while Kelsi craves stability. But it's hard to keep your feet on the ground once you've met the man who turns your world upside down.. This story had me on the edge of my seat! I have never read a story where the man pleasures a woman just for that - her pleasure! And i mean without him culminating the act! Then the story that built from it, WOW! I love the fact that SHE saves HIM at the beginning. A nice simple twist that leads to so much more. Now, i just LOVE the covers of these books - new modern covers. But they aren't available on the shelves here in NZ so i had to order them from the 'net. You can order them from either authors website (click on their names above as i've linked it to their website!) or the book depository or your fav online store - just search through the titles and choose the cover you MUST have! These are both awesome authors, both have joined my auto-buy list!! They both sound like good books. I'm so behind on the Mills & Boon market these days. Never heard of the Riva line before. I've read both and they are fabulous! J.L Riva is a sparkly new line just out this January!